US Airways is leaving the Star Alliance to join oneworld March 31, 2014. This all is happening very quickly. Star Alliance miles can be used for flights after March 31 if the flights are booked before March 31; everything else goes away. No lounge access, no earning miles, no free checked bags, no early boarding, no nothing after March 30 for Star Alliance members. 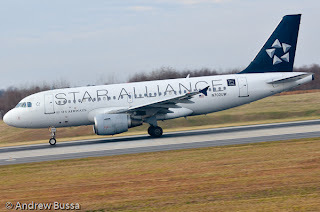 Also US Airways miles won’t work for Star Alliance flights booked after March 30. I liked having US Airways around to inexpensively acquire United elite miles. It was also nice to have because they served Long Beach, have a red eye Denver to Charlotte, and better served Savannah. US Airways used to be a miserable experience 8 years ago when they were racing to the bottom and charged even for water. That strategy didn’t work and the airline improved their onboard experience to be comparable or slightly better to other major US carriers. They also purchased dozens of new Airbus jets, further improving their product. I’ll miss flying them.